The Mockplus 2017 Summer Sale is coming! 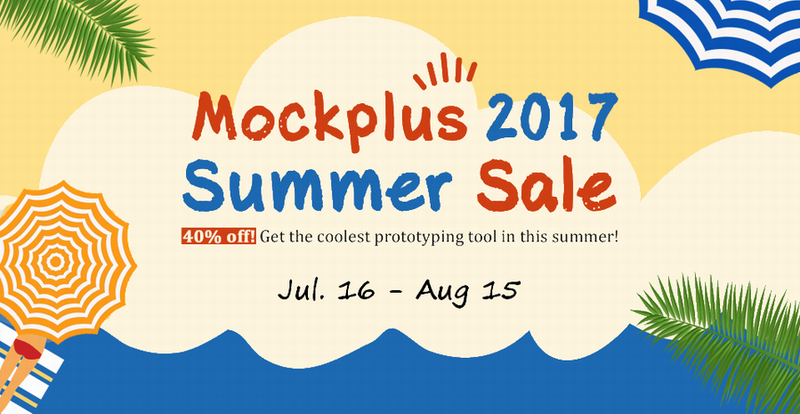 The sale will run from July 16 to July 31 and offer discounts of up to 40% off on the coolest prototyping tool Mockplus. The Mockplus 2017 Summer Sale is coming! 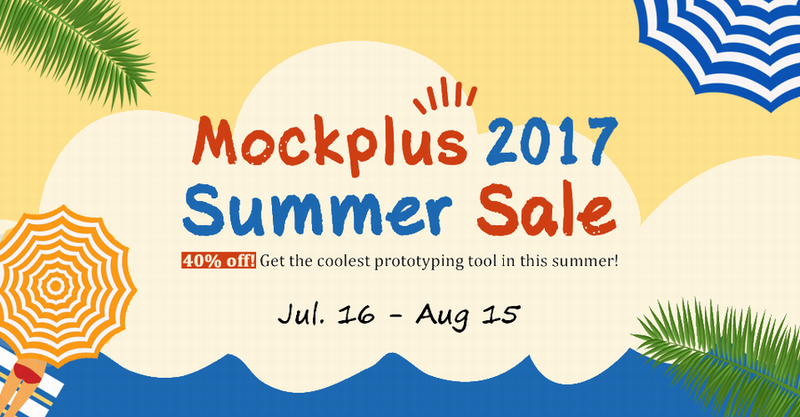 The sale will run from July 16 to August 15 and offer discounts of 40% off on the coolest prototyping tool Mockplus. With the optimized features including team collaboration in its latest version 3.1.4, the sale is unquestionably the best deal this summer! Mockplus 2017 Summer Sale is right there for everyone of you. Go to https://www.mockplus.com/buy, choose the discount you like and enjoy the best prototyping experience brought by Mockplus. Drag and Drop to build prototypes in a fast and cool way. That’s WYSIWYG. Effective team collaboration and smooth online reviewing. Build complicated interactions in simple way. A ShowTime of your design skills! Multiple methods to share your projects. The stakeholders will know more behind your designs. Test on users' devices. Fast iterate and achieve usability goals! Trust me. Mockplus is exactly the prototyping tool you’ve been long seeking. Now, just save your time and money for family and great inspirations!